Which exercises should a runner perform when he or she goes to the gym? The major focus of gym work for runners has to be core strength. Yes, working on the back and the abs doing funny exercises we don’t want to do and instead go running. But a strong core is the make or break of long distance running. One of the best exercises is the the deadlift. I do them whenever I go to the gym, no matter how little or much time I have. But you should not hurt yourself – which can easily happen. 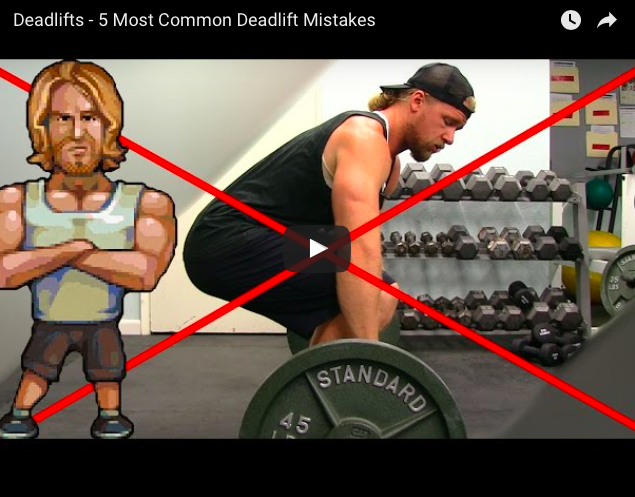 I found two great videos showing you what NOT to do and how to do the perfect deadlift. Have fun with it. What do you do when you go to the gym? Or don’t you go there?